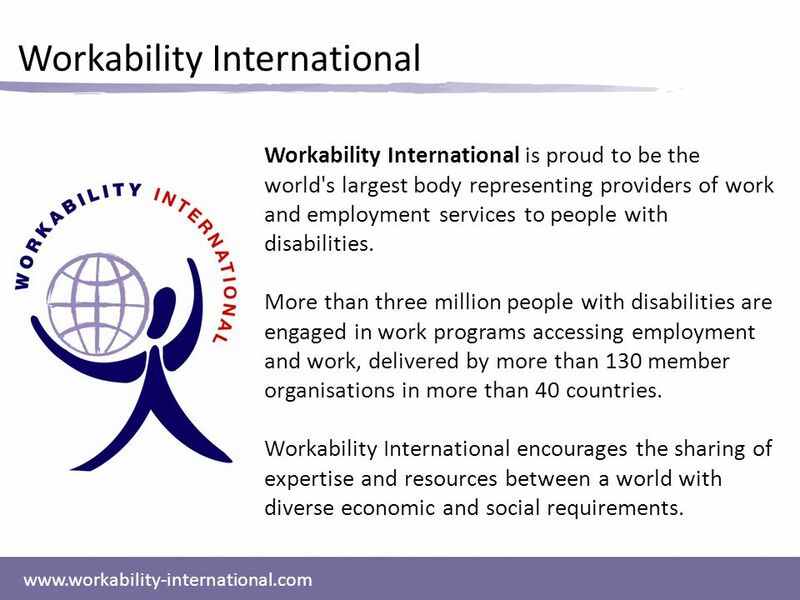 3 www.workability-international.com Workability International Workability International is proud to be the world's largest body representing providers of work and employment services to people with disabilities. 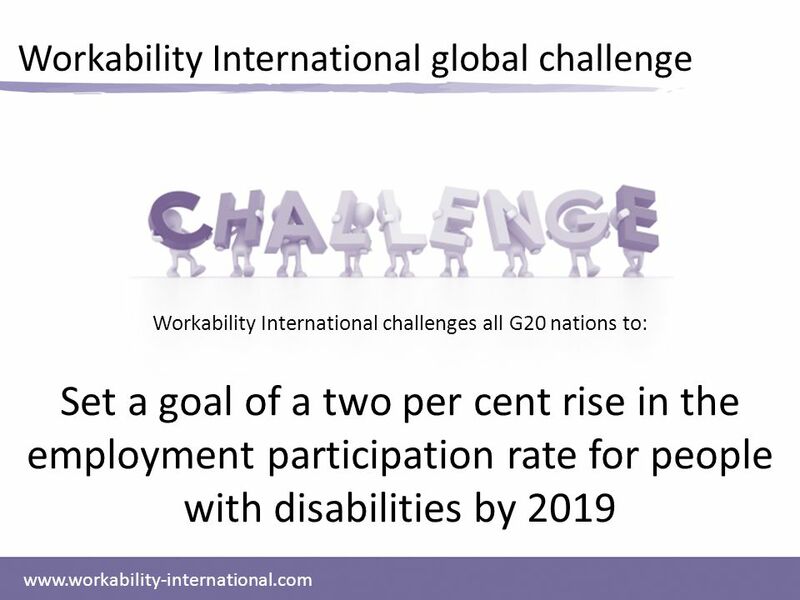 More than three million people with disabilities are engaged in work programs accessing employment and work, delivered by more than 130 member organisations in more than 40 countries. 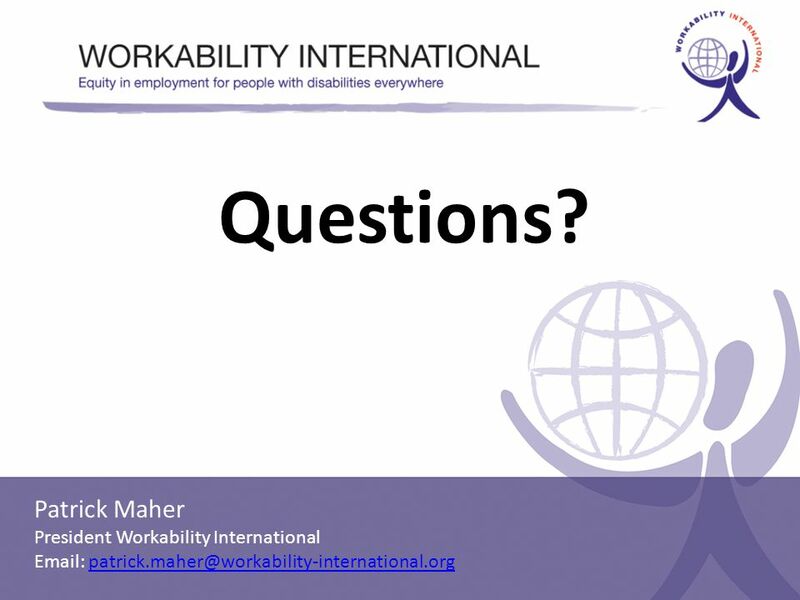 Workability International encourages the sharing of expertise and resources between a world with diverse economic and social requirements. 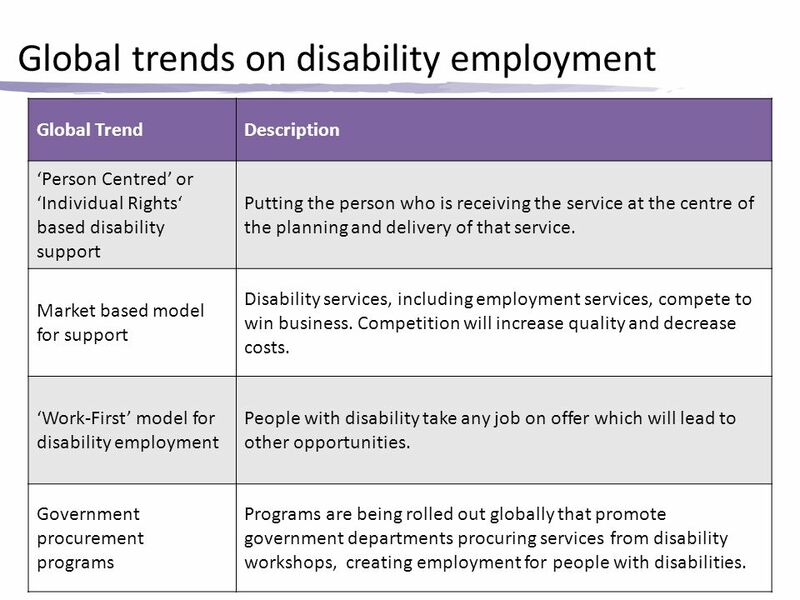 6 Global trends on disability employment Global TrendDescription ‘Person Centred’ or ‘Individual Rights‘ based disability support Putting the person who is receiving the service at the centre of the planning and delivery of that service. 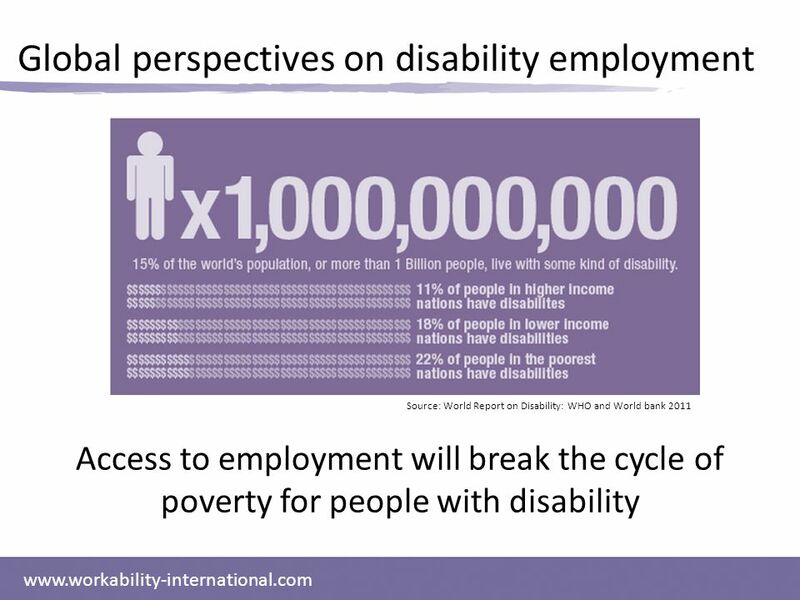 Market based model for support Disability services, including employment services, compete to win business. 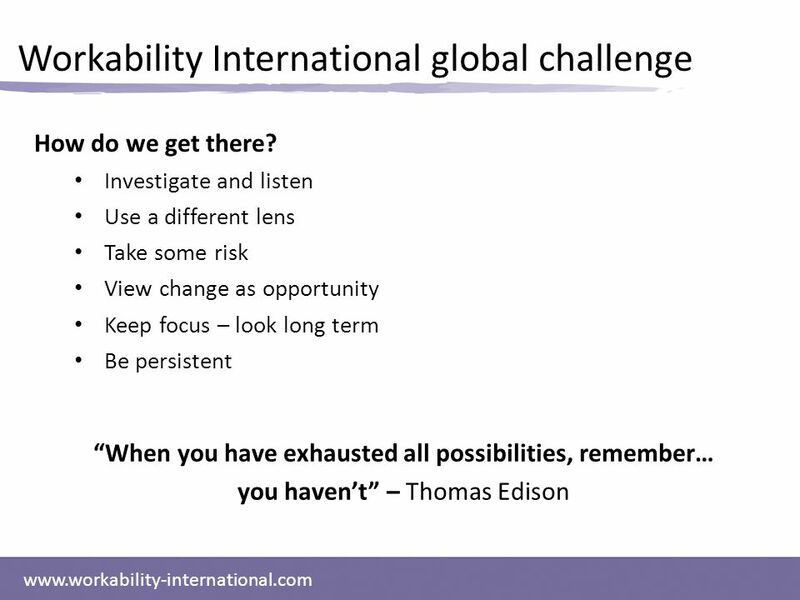 Competition will increase quality and decrease costs. 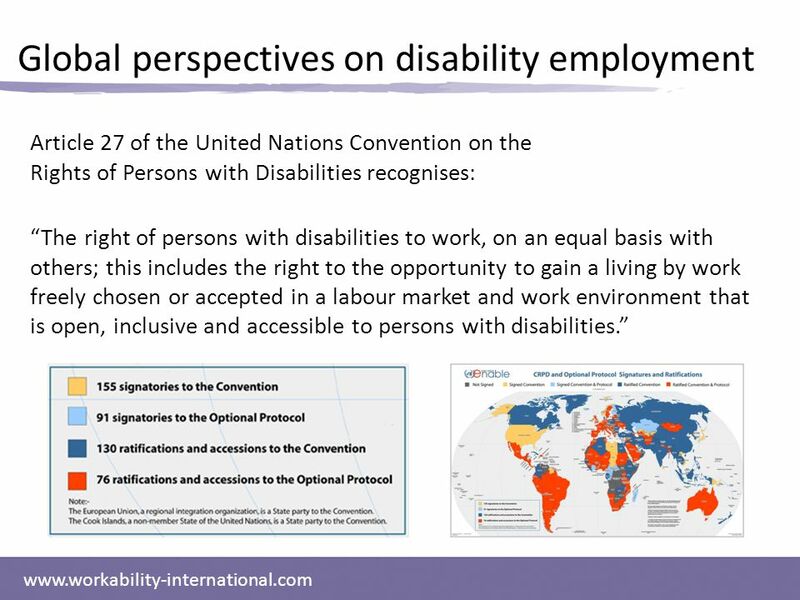 ‘Work-First’ model for disability employment People with disability take any job on offer which will lead to other opportunities. 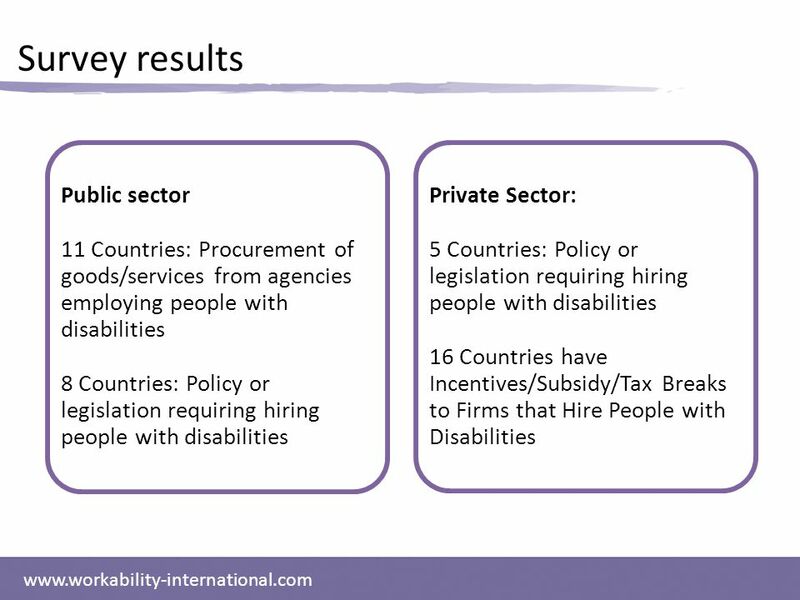 Government procurement programs Programs are being rolled out globally that promote government departments procuring services from disability workshops, creating employment for people with disabilities. 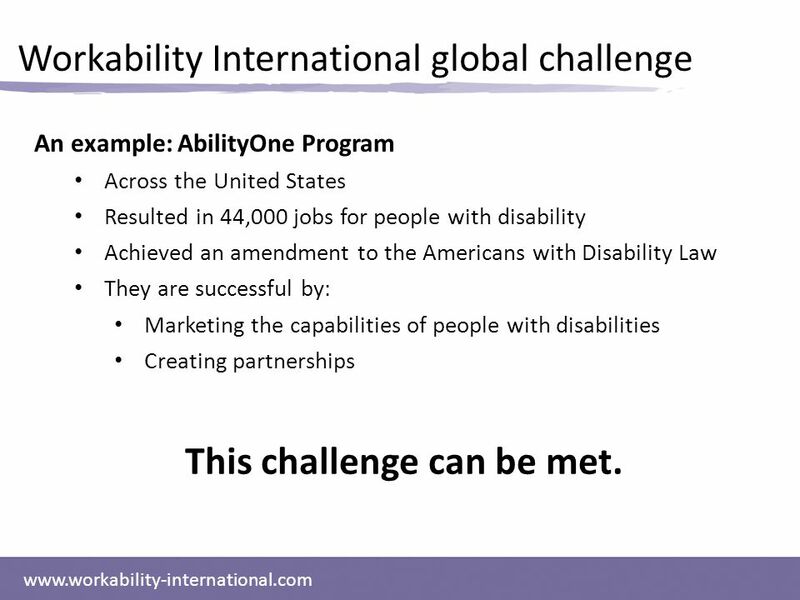 13 www.workability-international.com Workability International global challenge An example: AbilityOne Program Across the United States Resulted in 44,000 jobs for people with disability Achieved an amendment to the Americans with Disability Law They are successful by: Marketing the capabilities of people with disabilities Creating partnerships This challenge can be met. 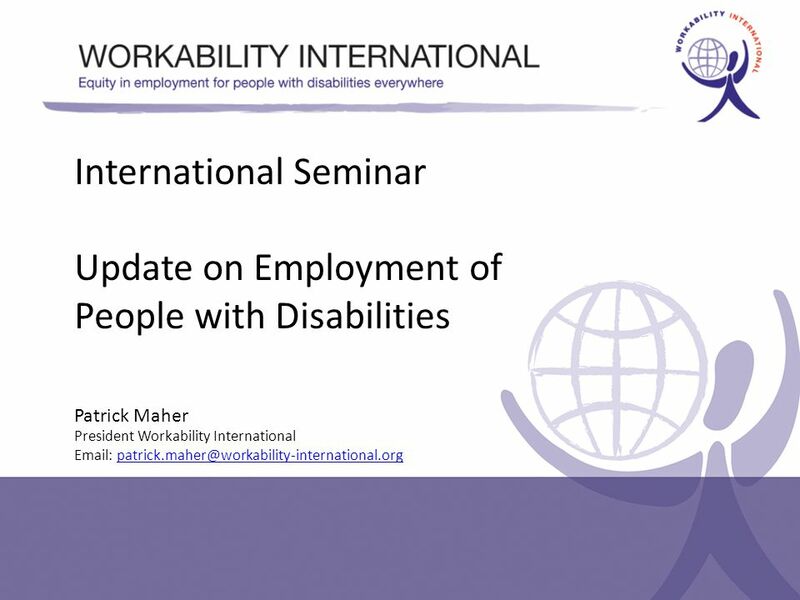 Download ppt "International Seminar Update on Employment of People with Disabilities Patrick Maher President Workability International"
"Convention on the Rights of Persons with Disabilities: Opportunities for International Development Agencies in the Education Sector" Washington D.C. May. 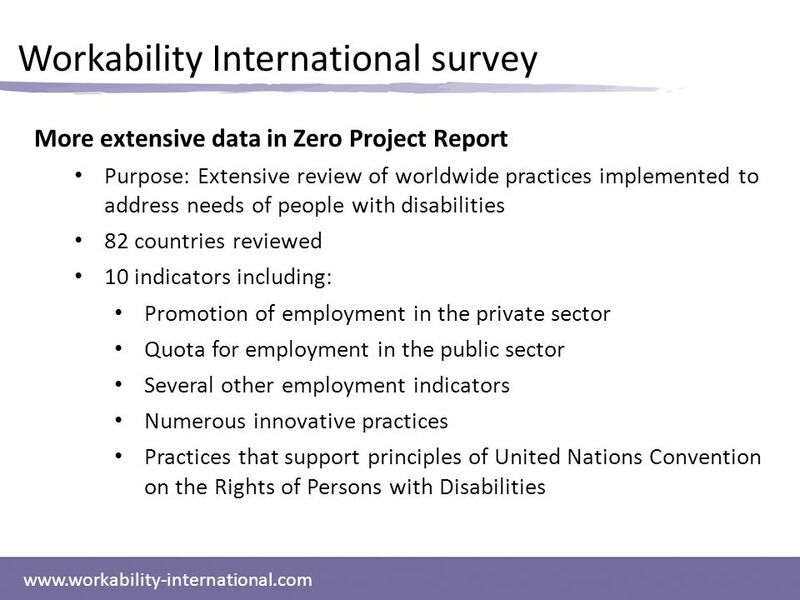 Asia-Pacific Regional Program on Mainstreaming ICT Accessibility for Persons with Disabilities August 2009 Bangkok, Thailand Overview of Public Procurement. ENABLING SUCCESS A New Strategic Framework to Tackle Economic Inactivity in NI 1. Renewed EU strategy for corporate social responsibility 2011-2014 CSR by Ms Evelyne Pichenot, EESC member 10 April 2012 – Hong Kong.